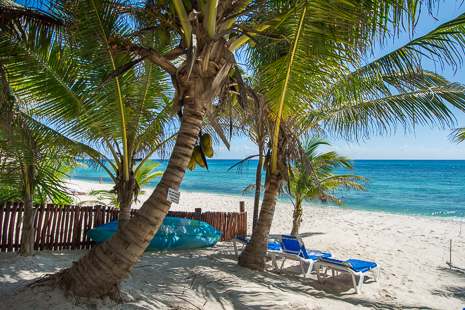 Aventuras Akumal beach is one of the finest you'll find . . . anywhere! 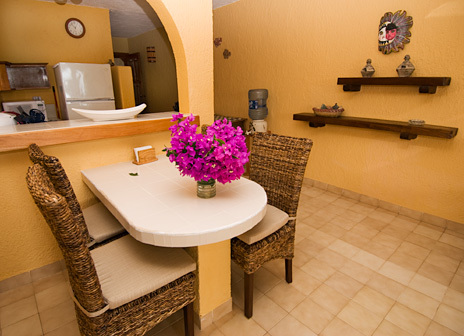 1 or 2 Bedroom, 2 Bath Aventuras Akumal Vacation Rental Condos. BR #2: Queen bed, air, private bath. Add 19% tax and $40 accidental damage waiver fee not included above. Rates are in US dollars. 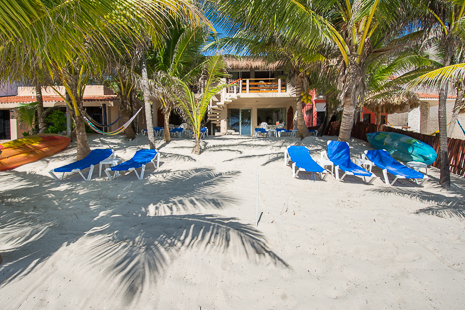 U Nah Kin - a phrase meaning "House of the Sun" in Mayan, sits on the soft white sands of the Mexican Caribbean coast at the bay of Aventuras Akumal. 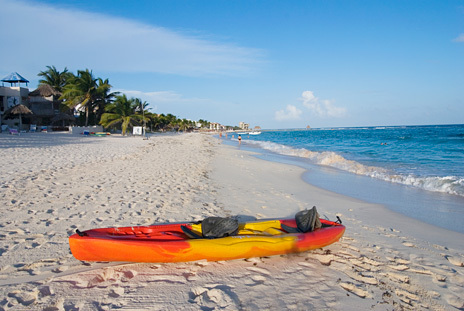 This is one of the finest beaches along the entire Riviera Maya coast! There are just 4 condos in the building, so this is the perfect quiet, private, kick-back-in-the-sand vacation spot. 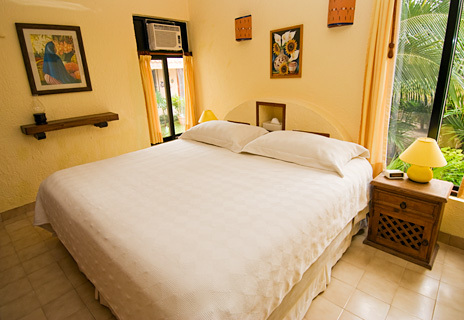 U Nah Kin Aventuras Akumal vacation rental condos are incredibly comfortable with everything that you'll need. 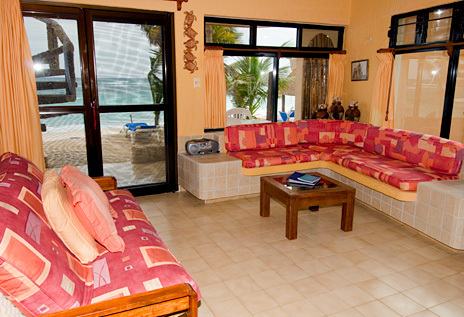 The living area has comfortable seating and ocean views. There is satellite TV and digital music. Dining area seats 4 and also has ocean views. 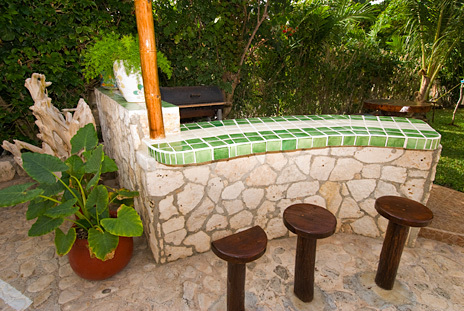 The kitchen is completely equipped with stove, (no oven) refrigerator, microwave, coffeemaker and all dishes, cookware and utensils. In the closet near the kitchen you'll even find a cooler to take to the beach. The two bedrooms are located on the back side of the condo. One bedroom has a king size bed and the other has a queen size bed. There is a bathroom for each bedroom. One of the bedrooms has a small balcony and a separate entrance from the outside. Both bedrooms have partial ocean views. U Nah Kin can be rented with just one bedroom for 2 guests at a reduced rate-see rate schedule above. 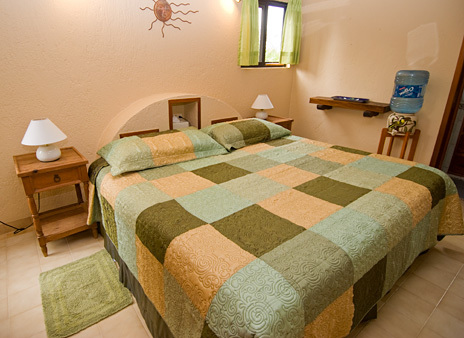 The second bedroom is not rented to another party, so your privacy is assured. 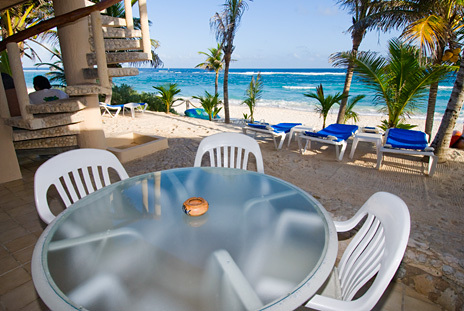 U Nah Kin vacation rental condos each have an oceanfront patio with table and chairs. On the beach are lounge chairs and sea kayaks. 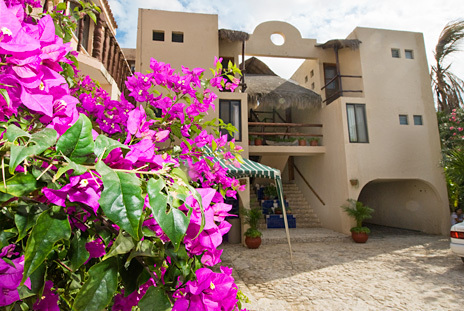 You'll love your stay at U Nah Kin on the sand at Aventuras Akumal!